What’s it all about, Alf? Alison Moyet has been part of the most successful group of the eighties in Yazoo, but it's made no difference whatsoever to her lifestyle. She still lives in her home town of Basildon, totally unaffected by success. Articles / What’s it all about, Alf? Now Yazoo have decided to split, even as they’ve raced up the charts with ‘Nobody’s Diary’. But for Alison it’s like starting off on a new career in the same way as other people would change bank jobs. As far as being famous is concerned, her main feeling is one of embarrassment. “I’ve still got the same crowd of friends and my idea of fun is going down to the pub with them and having a game of pool,” she says. Looking back on her formative years which led to her joining Yazoo, Alison has an affection for the mates she still hangs around with. 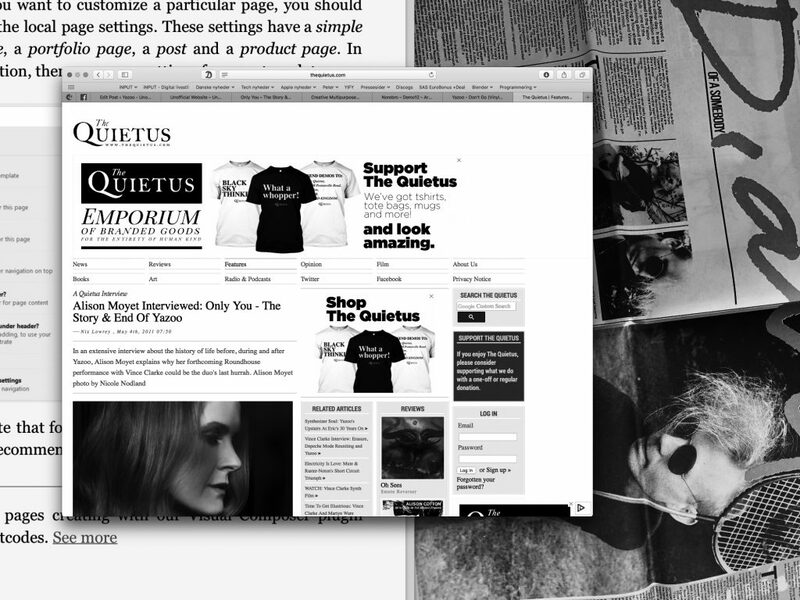 HER BACKGROUND was a mixture of pubs, music college and hanging around with the local group of punks. When she got the chance, she’d get up and sing in a local pub … but most of the time she’d exercise her vocal chords with a couple of mates in the local car park. From those humble beginnings, the girl who was told she wasn’t allowed to appear in school plays because she wouldn’t sing has managed to mix the rigours of being a professional with the old times she enjoyed with her friends. Almost like someone who refuses to grow up, she retains the air of someone who has been mature for her age all her life. At the same time, she can’t resist a good giggle over a drink or little incidents that surround her and her friends. And she’s still treated as Alison (Alf) rather than anything special. 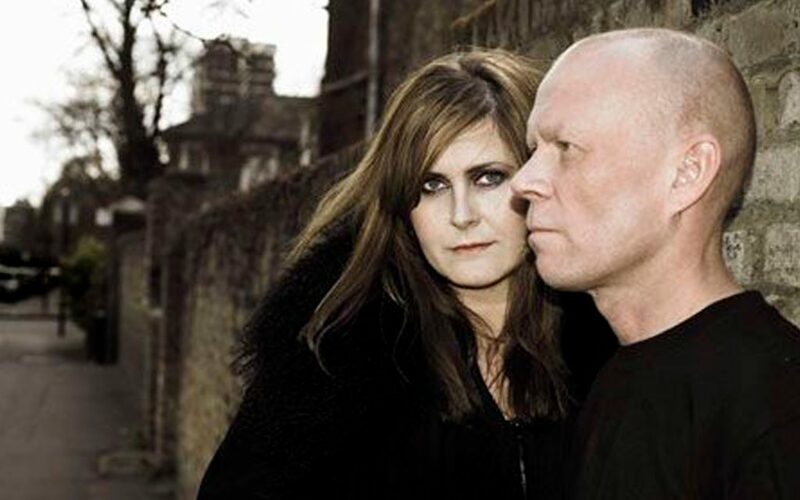 FROM LISTENING to Yazoo’s second and last album ‘You And Me Both’, it sounds from Alison Moyet’s songs that she’s had about 56 broken love affairs while partner Vince Clarke has been perpetually on the verge of suicide. Not true according to Alison. Although the album rushed straight up the charts, all the songs are now history. 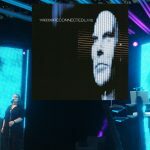 Vince Clarke will settle down to his synthesizers and production work, while Alison works out exactly what she’s going to do – something that still has to be decided. And even though she and Vince split the songs equally on the new album, Alison insists there was no animosity over the split – just a slight difference of opinion. “Basically we split because there are other things we want to do,” says Alison. As she talks you can tell that Alison Moyet is a little relieved that Yazoo have called it a day. A little frustrated because she’s been held up in London traffic and smoking heavily, there is a feeling that this is finally the end of stage one of her career. 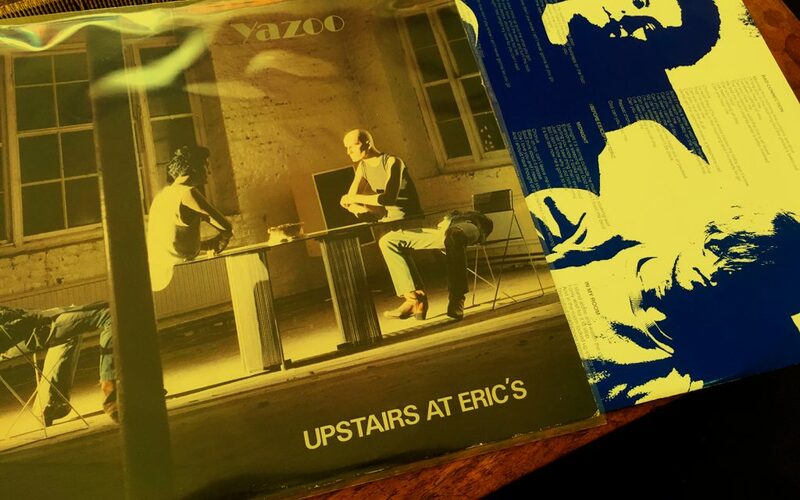 Since Yazoo she has also done impromptu gigs with Alexis Korner and on ‘Switch’, proving that she is primarily interested in being a singer rather than someone who wants to change the face of music. Her work with Vince Clarke was satisfying as he had the technical resourcefulness and ideas, which were a vehicle for her voice and her own songs. NOW A new vehicle has to be found for her material and that will take some time. There won’t be a permanent band, but she will use a group of session players rather than one electronics man. As for Alison’s new material, that’s still anyone’s guess. Don’t expect world peace protest songs from Alison, though. What you can expect is more “people” songs, from someone who cares about her friends. Alison Moyet arrived with two of her mates rather than a manager, and as you read this she’ll probably be about to kiss the pink down at her local pool table. And that’s almost as important to her as getting a hit record. Originally printed in Record Mirror on July 23rd 1983. Reprinted without permission for non-profit use only.